Leslie Model 312 | MOSweb Online! 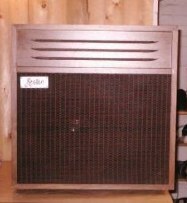 Similar to the Model 310 it had the same sound system, packaged in a furniture finished cabinet. Few if any were sold in the USA.